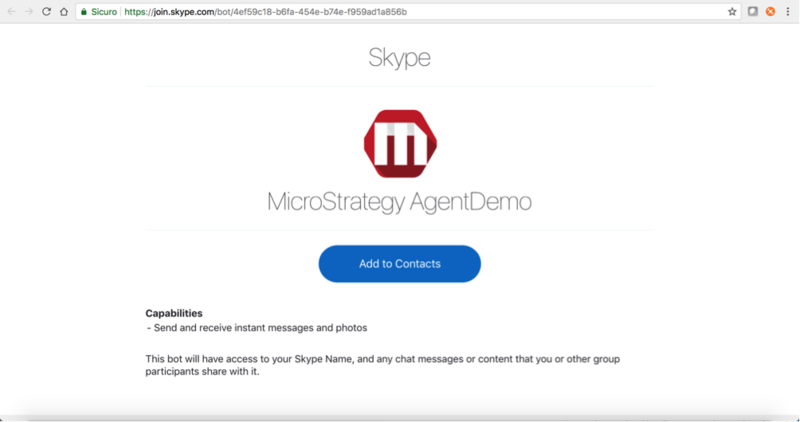 This is a handy guide that explains how to configure your agent to work with Skype. In your "Agent Detail" section of the Agent to whom you want to configure Skype. Click on the [+] button close to the Channels section. Now it's time to configure Microsoft's Azure Bot Service, the way that Skype allows other bots to integrate with its own framework. Access your Microsoft Azure bot service. You can do that from here: https://portal.azure.com/#home and looking for the Bot Service. You will need to create or sign-in with a Microsoft account. Create an account and sign in with a Microsoft Account. Register a new bot channel. Set the messaging endpoint with the one provided by Askdata platform when creating a new Skype channel for your agent. 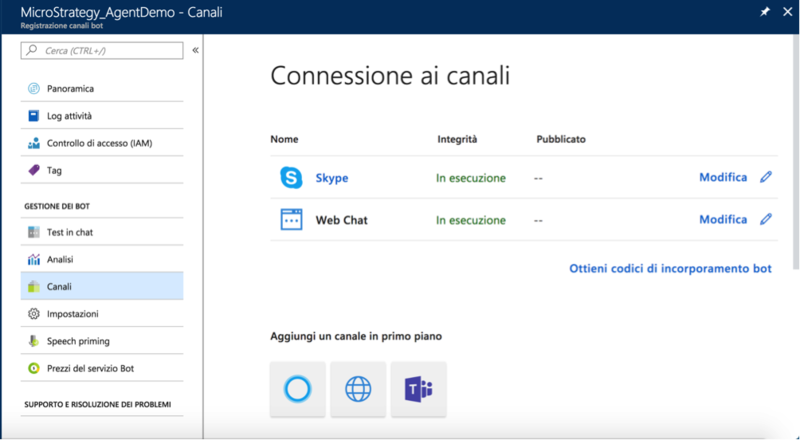 You can then add the new Skype channel to your Skype and start chatting with your datasources. Add the agent to your contact. At the end of the URL the Agent Id is reported. The agent will be added to the contact and you can start using the service.